As a former camp counselor at the Wesley Woods Environmental Education Camp in East Tennessee while she was in college, Wilson loves the experiences she knows camp brings. “They had professionals on staff that were certified kayakers or caving instructors, and so we would do like one-week or two-week specialty camps, and so I got to do a rock climbing camp where we traveled all over the Smokies, and then I did a snorkeling camp, and we drove down to Florida and camped out down there,” Wilson recalls. But like most parents, she is slightly taken aback by the sheer number of camp options Middle Tennessee has to offer. “I’ll have to admit I still am a little bit overwhelmed by all of the camps in Nashville, and you have to start planning in January and February,” she explains. Wilson’s process starts with finding camps that pique her children’s interests - whether it’s robotics or basketball, chess or sailing. Erica Jameson has been in the summer camp business since 2004 as an administrator of Jameson Ranch Camp in California, and director there since 2011. Her grandfather started the program in 1934, and it has been in operation ever since. She says parents need to conduct their search for the right camp with a thorough understanding of both the kind of child they have, and the kind of program that fits them. Overnight camps programs start as young as 5 or 6, and parents who know their children well will often be able to determine whether or not their child is ready,” says Jameson, who routinely sees children start camp at 6 or 7, often with a slightly older sibling for moral support. “The average age for starting camps has been climbing, with most children starting somewhere around 11 or 12,” she points out. “This is often because parents aren’t ready, more so than the child themselves. For Wendy McKinney, it was easy to know when her son Keaton, 10, was ready for overnight camp. He told her. So last summer McKinney and her husband David dropped him off on a Sunday at Camp Wijiwagan for seven days and six nights, where he was part of the first group of kids staying in a new section of the camp complete with yurts. While all the kids were excitedly climbing up the bunks bonding over Star Wars, the McKinneys could barely get in their goodbyes. “It was totally harder for us,” McKinney says with a laugh. The American Camp Association does not recommend an age for overnight, but says it is common for resident camp sessions to start at age 8 and to involve your child in the process of choosing between a day or resident camp, and possibly base decisions on past successful – or not – overnight experiences with a friend or relative. Wilson would definitely consider overnight camp for her girls, but scheduling is difficult and she hasn’t done all the research she wants to do yet. 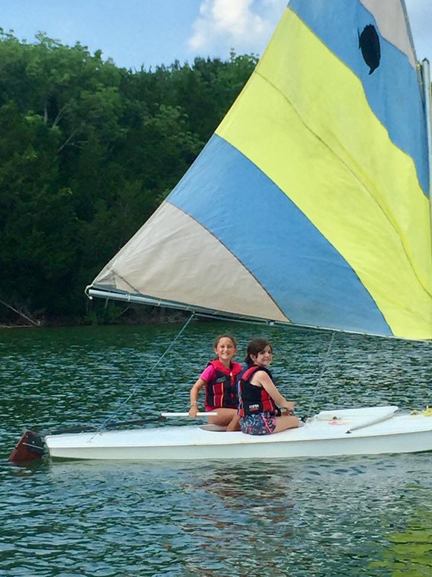 For the past six years, the McKinneys sent Keaton to the First Baptist Church of Hendersonille Wave Camp, a day camp for children in first through eighth grades that she says fully addresses their safety concerns as parents. She never wanted to send him to a camp that would bus him to public parks on different days, and she never wanted her child alone with a counselor. She says the one time they did have an incident at camp, it was with another child. The counselor was told right away and the head of the camp jumped right on it. “I would recommend talking to other parents and getting all of their feedback about camps that they’ve used, camps that they’ve not used, camps that they’ve had good experiences with, bad experiences,” McKinney adds. Jameson agrees and says red flags would be a series of bad reviews, any more than one or two, on sites like Yelp, CampRatingz or Google, which are a good way to determine how people feel about the program. Jameson notes it is important to select a camp that has some sort of overseeing authority; the American Camp Association, ACA, is a great one, as is the YMCA or the Boys/Girl Scouts of America. This ensures that the best practices of youth development professionals are known and practiced by the camps, as well as having a series of standards that must be met by the administration, program activities, employees and services like food and medical care. “This ensures the best care and practices for your child, which obviously is paramount,” Jameson says. The ACA says that today it is common for parents to be concerned with communication and how to keep in touch with their child, so they recommend that parents reach out to camps when searching and discuss the camp’s communication methods. Since most camps are cell phone free, many are sharing photos and videos on a daily basis so parents can feel connected, while still allowing their child the space and freedom to thrive at camp. In many cases, though, parents do have the option of having their child buddied up with a friend if they sign up for the same camp and alert the staff ahead of time. McKinney says she was given a secure password and allowed to log into a website every day and see pictures of Keaton enjoying himself and all of the activities. “No matter whether it’s day or overnight, they have some means of showing you what your campers did,” McKinney adds. Overly concerned parents can even invest in a summer camp insurance plan that can cover unexpected medical bills or baggage that is lost or stolen while at camp. Under the umbrella of travel insurance, Mark Ceslowitz, president of Travmark, says parents need to be aware of often hidden exclusions which are inappropriate for summer campers. Travmark has been providing summer camp insurance for nearly two decades and has paid millions of dollars in summer campers’ claims, Ceslowitz adds. Travmark offers plans that do not have exclusions for amateur sports, pandemics or epidemics, as well as without mental, nervous or psychological exclusions and has even covered summer campers who decided not to attend camp at the last minute or to leave early for psychological reasons. 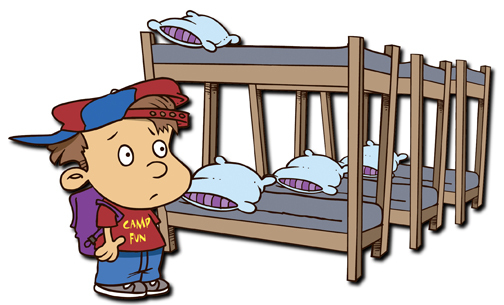 Summer camp insurance usually costs between 5-8 percent of the cost of the camp. In a 2017 ACA Fall Enrollment Survey, 77 percent of camps reported their enrollment was the same or higher as it had been the previous year, and after a dip in enrollment after the financial crisis in 2007/2008, numbers of campers have been rising since. 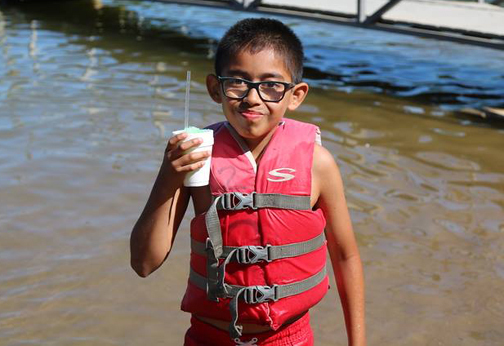 Keaton had such a good time last year that this year he is signed up for two weeks – he’s going back to Star Wars camp for one week, as well as adding another week of sailing camp, also at Widjiwagan, where McKinney says they have HCA nurses on staff 24/7. “He’s totally enamored with sailboats and wants to learn how to sail, so I found this camp where they have a big pirate adventure. It’s based on a series of books, and they learn to crew a 22-foot sailing boat,” she says. Normally, she would supplement with more weeks of day camp at Wave, but this year Keaton will be working with his dad renovating houses for his business, The 404 Company, earning a paycheck and saving half. 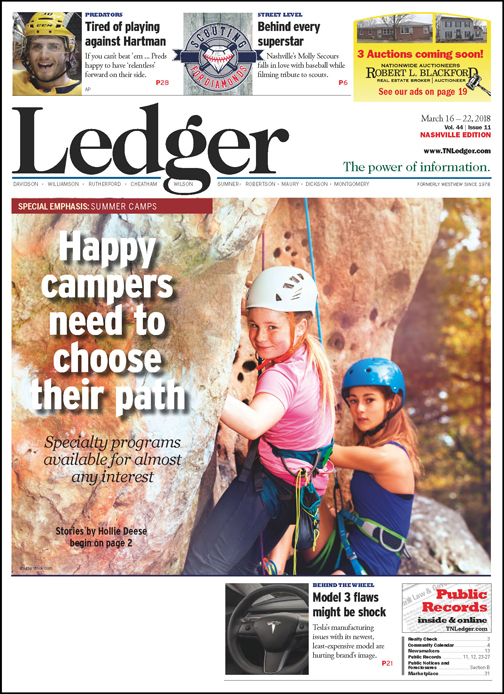 McKinney, a mortgage loan processor for Acopia in Hendersonville, budgeted throughout the year knowing that when the time came she would have the cash set aside to pay for camp. Like most people, she can’t just take off work for weeks at a time because her child is out of school. Wave Camp runs approximately $140/$145 a week, McKinney explains, and depending upon the number of weeks she signs up for, there can be discounts. The specialized sailing and Star Wars camps at Widjiwagan cost more, about $740 a week for seven days, six nights and five meals a day. But for McKinney it’s worth it to have him off the tablet and immersed in nature while also learning an exciting new skill. “He gained so much independence and confidence being away on his own,” McKinney says. Wilson agrees. “I think camp builds social emotional skills, confidence and creativity in kids. It gives them a little freedom and independence too,” she adds. That’s why it’s a priority, even though the cost of camp for three kids can be prohibitive. So, Wilson, director of travel communications for The Family Backpack, limits each girl to 1-2 weeks of camp now. And while last summer she did not bring in a sitter to help on the weeks they were off school and camp, she won’t make that mistake again and will have a sitter come in at least a few days a week so she can work. While McKinney and her husband didn’t go to traditional camps as children, she spent her summers hiking and camping with her family while he was a Boy Scout who hiked the Appalachian Trail. “Those were the happy memories of summer. So, I wanted him (her son Keaton) to be able to do that,” she says.